The University Town International Hotel is of a luxurious prospective four-star hotel, and has been operating since June of 2007. 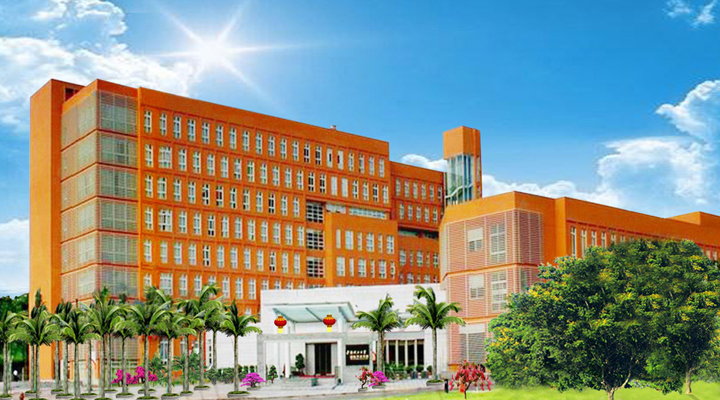 Situated in South China University of Technology, No. 2 East Road of GuangZhou University Town, the hotel is 10 minutes’ drive away from Pazhou International Exhibition Center, and 16 minutes’ drive away from Tianhe Commercial Center and Guangzhou East Railway Station, 40 minutes’ drive away from Baiyu International Airport, 500 meters away from exit of Guangzhou Metro Line 4 and bus station. There are 172 luxurious rooms. Graceful environment, elegant and luxurious decoration provide you with courteous reception of universities. There are three Chinese style and Western style restaurants, which collect different dainty from all over the world. There are several luxurious and noble multifunction conference rooms with simultaneous interpretation and first rate audiovisual equipment, and it is an ideal place for large conference. In addition, gymnasium, tennis court, swimming pool, snooker, chess and card room, table tennis room are good entertainment places for you to spend your spare time at.